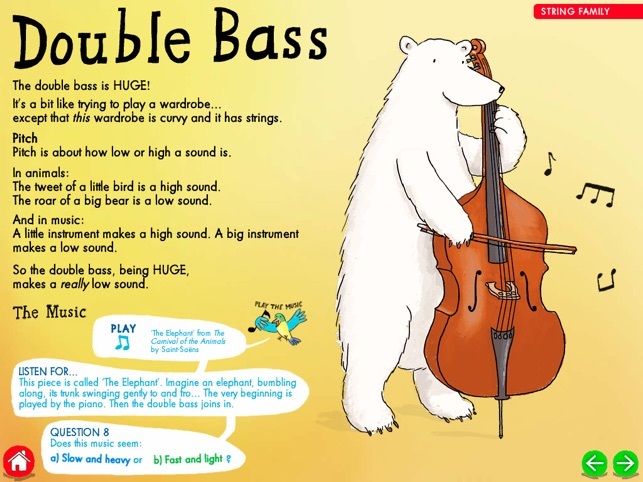 It's the perfect introduction to classical music for children aged 4 and above. 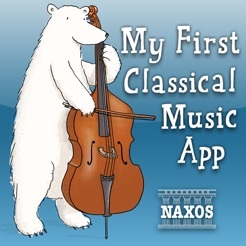 * An interactive iPad version of the hugely successful My First Classical Music Book, published by the world’s largest independent classical record company, Naxos. * Three main sections: When? Where? / People / Instruments. * Friendly, engaging narration – tap on any piece of text to hear it. * Questions and ‘Listen For’ tips from the Music Bird: get more from the music. 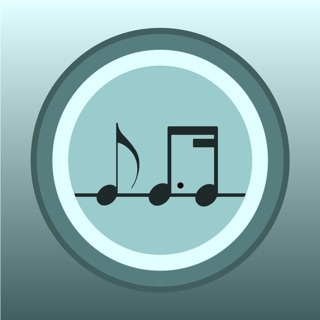 * Over 40 different pieces of music featured, in excellent recordings. 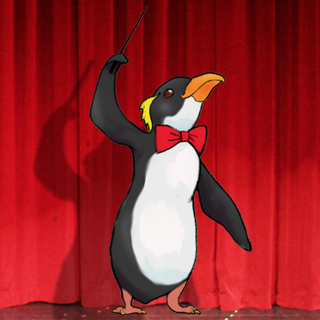 * Every instrument in the orchestra is demonstrated. * Lively, characterful illustrations throughout. Bug fixes; fix for audio not playing in iOS 9. 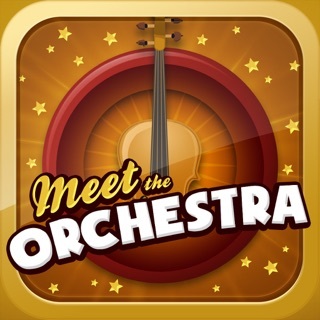 This is an amazing fun app for teaching music and classical music. The artwork is great, the layout is great. 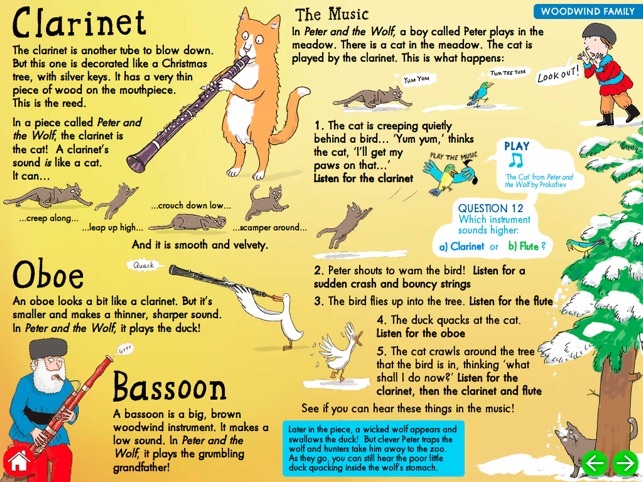 There is a huge amount of information about instruments and composers and uses of music. There are wonderful pieces for the music selections. This app had a lot of work and thought put into it. AND by people who knew what they were doing. It is very thoughtful and well-constructed. 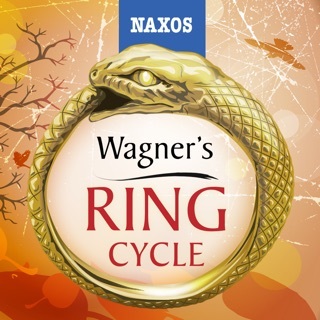 It has three main sections which cover instruments, composers and the when and where of classical music. 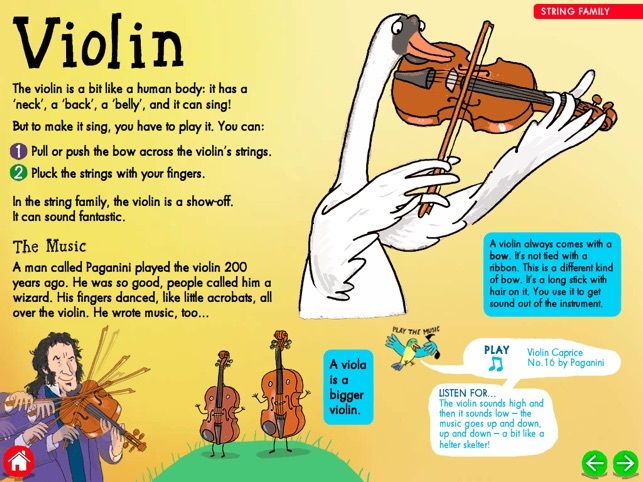 Each page has loads of places to click to hear sounds, music or facts about music. The user interface is highly child-friendly and engaging. There is a lot of information here that is great for preschoolers. 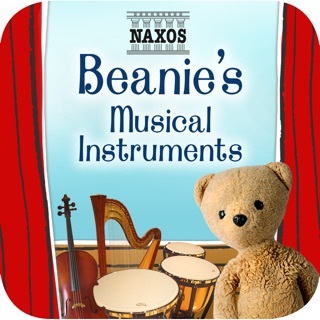 This app has enough information and complexity in it, that it would be great for older children and even adults. 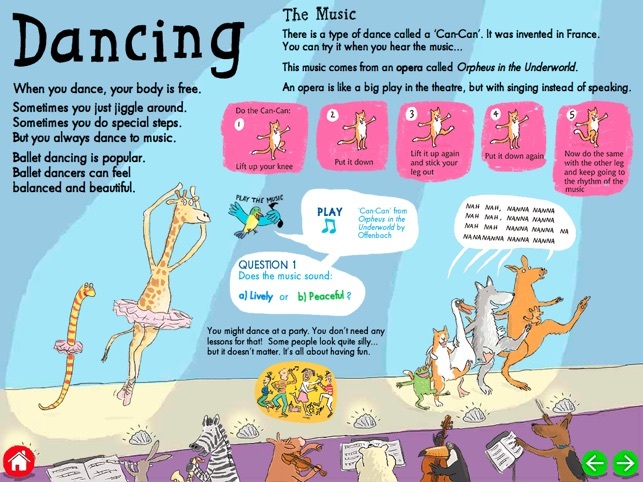 It is well researched and has lots of amazing facts and musical selections. 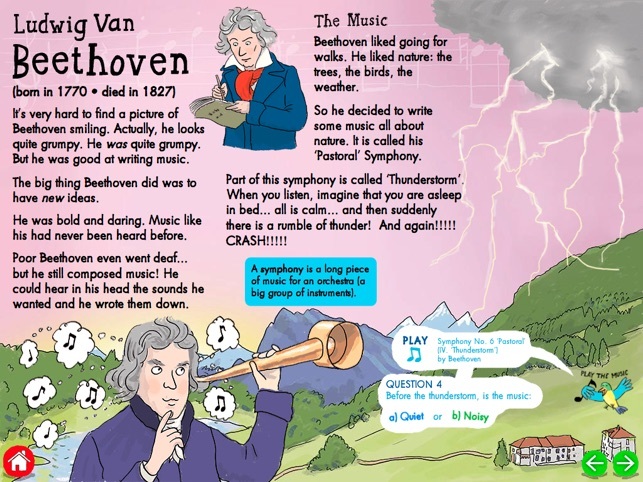 It is like an interactive mini encyclopedia of classical music. Would my request increase or decrease my experience of dissonance? I experienced frustration using this app with my child. I would love to participate in a beta of an attempt that allows the musical selections to continue while exploring the interactive elements. I appreciate the cacophony that might ensue in the current implementation - given that most of the interaction includes audio. 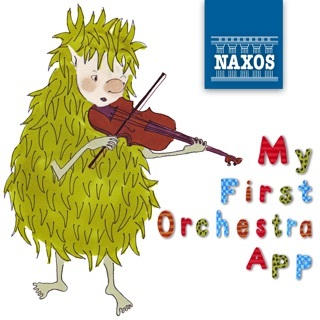 If I could overcome my selfish desire to listen to the musical selections without interruption, I wouldn't have to hold the app at arms length to prevent my toddler's haptic exploration. while the interruption of the musical selection doesn't deter him from exploring the app ( It thoroughly engages my 2-year old - he'd probably give it five stars.) he experiences very little of the included music from within the app when using it independently. This app has a lot of potential and I don't regret purchasing it, but only because I assume there are bug fixes in the works. When changing from one page to the next, it lands on the next page ever-so-briefly then skips right on. The only way to view the skipped page (that we've discovered anyway) is to touch something on that page before it disappears. Gotta be quick! The skipping problem seems to be with every page. Rather annoying. Other than that we're enjoying the app. I'd like to see more instruments explored (my personal favorite, the french horn, gets little more than a nod), but I do recognize there are limitations. Overall, I would recommend the app... but, like I said, only because I assume the bug will be fixed.